Rear suspension: torsion bar with adjustable spring plates. Brakes: Front disc, rear drum and handbrake on rear wheels. *with optional 1915cc 125 hp engine with 3:88 final drive. Check our pdf file below to learn about available high performance options. 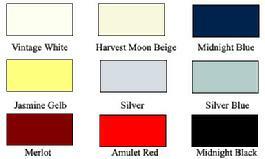 Custom interior colors available on request. The complete interior is leather. Seats, dash, door panels and trim included. CUSTOM COLORS ARE AVAILABLE TO SPECIAL ORDER. While we try to offer a variety of standard colors that will appeal to our customers, we often modify these selections, adding new colors and deleting some as well. WE ALSO CUSTOM PAINT TO SPECIFIC CUSTOMER COLOR SELECTIONS. The cost of the customization to a specific color is minimal, if any, depending on the cost of the paint. 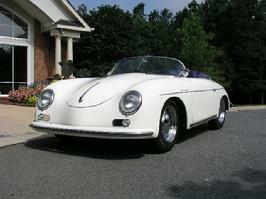 Click here to see recent Speedster builds. A beautiful DEEP BLUE METALLIC custom paint request. 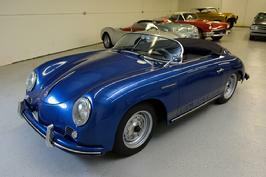 The BECK Speedster is also available with SUBARU engine.